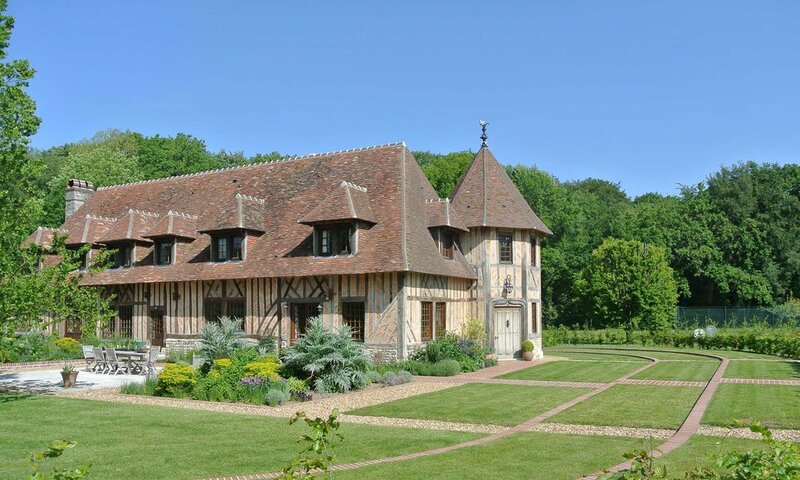 This beautiful property nestled in the stunning French countryside is constructed in the traditional Normandy style with timber structure and columbarge. 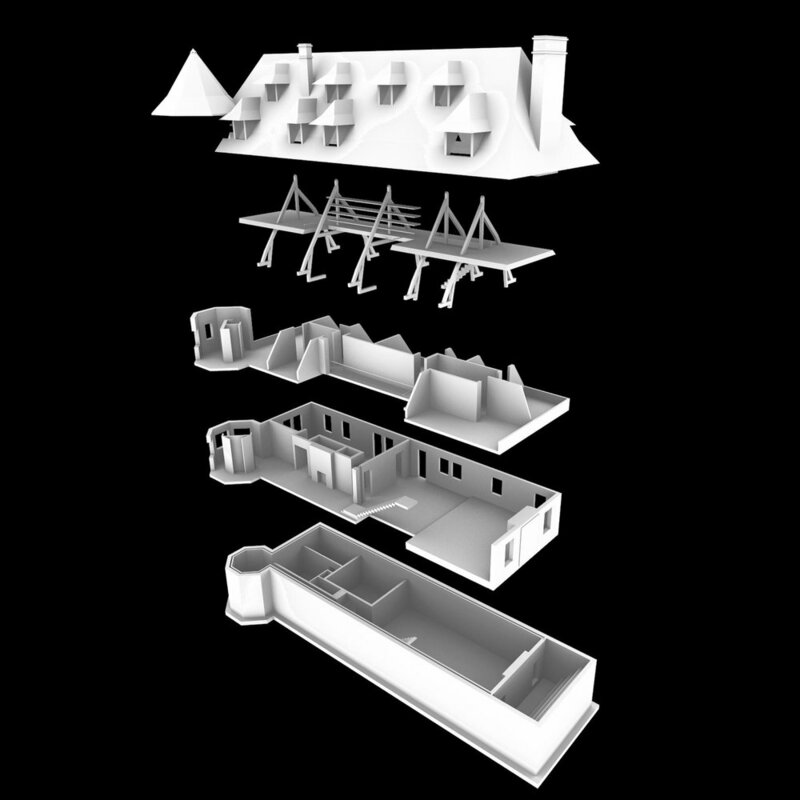 The client asked Stuart Forbes Associates to develop a design for the property which would manifest in an increase to the internal area of the property by 45% through a sympathetically designed extension which includes an archetypal Norman Tower and the introduction of a basement library, cinema, entertainment and media space. Refurbishment of the ground first and second floors combines contemporary furnishings and finishes against the background of the attractive traditional external construction. In addition to the planning of the principal house, the practice has been retained to further develop a comprehensive landscape master plan for the 10 acre site surrounding the property which will include the formation of a formal planned garden and large scale remodelling of the landmass surrounding the property. The organic forms of the contours create amphitheatre-like focal points for special planting and sculpture in areas of the garden. Site analysis through mapping and site visits with the clients pinpointed the locations of these focal points.